There's this chance I have developed a bad habit. By bad I mean, utterly delicious. 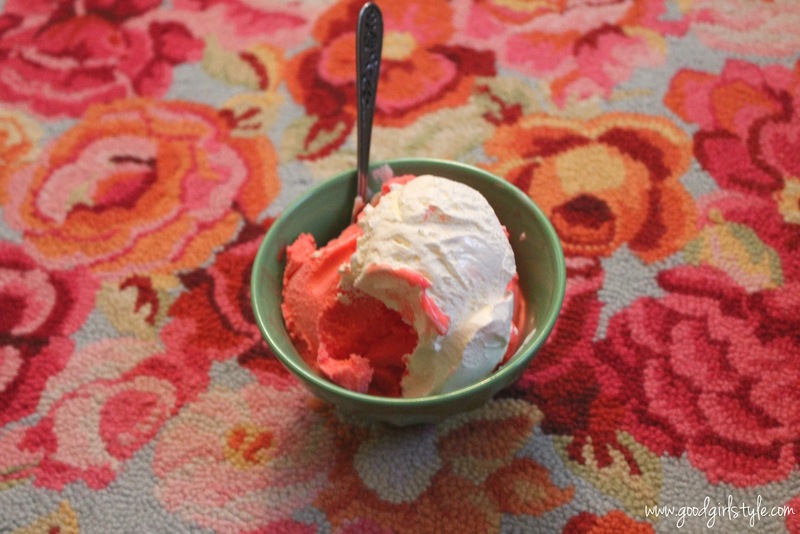 Watermelon sherbet with Cool Whip. No, it's not a bad habit, really. It's sherbet! Less fat and fewer calories than ice cream! Oh, how we can rationalize to our hearts' content. See, here's the thing: God calls us to take every thought captive. Every word, every deed, everything in our hearts--to take it captive. To pass it through the sieve of the Holy Spirit, so that we can make every thought/word/deed obedient to Christ. But--well, we're really good at RATIONALIZING. I'm equating my rationalizing a "bad habit" of sherbet with sin, just for effect. Because the problem is, sometimes sin tastes delicious. It might make us feel alive for a minute, or dulls our pain for a minute, or maybe we think it's just plain fun. And that never hurt anyone, right? It hurts God's heart. It hurts him because He is Holy. He detests sin and unrighteousness. And he LOVES us. He WANTS us. Next time you find yourself rationalizing sin, remember: God detests that. He loves you. And that is enough.